Now Hiring! Full/Part-Time Aides and Assistants! 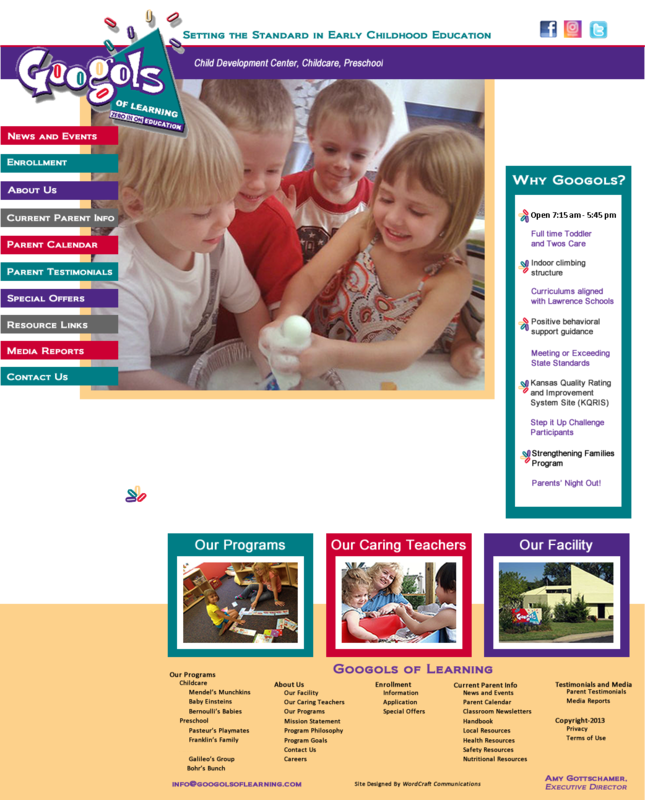 Googols of Learning Child Development Center is a full-service childcare facility in Lawrence, Kansas, serving children between 1 year and school age. We offer a full range of services including quality, hands-on, and developmentally-appropriate educational programming designed to meet the needs of your child. We are conveniently located at 500 Rockledge Road in Lawrence. We have Open Enrollment and can enroll your child in any of our programs year-around. READ MORE. Please call and schedule a tour.